Intermittent fasting involves voluntary abstinence from food and drink in a certain period of time. Now, you may think this is quite odd, as you are essentially depriving yourself of life’s necessities. Yet, studies have shown that it can be one of the most powerful ways to transform your health. Eating regularly for some days and consuming less on others enables the body to boost its cellular and metabolic functions, promoting optimal wellbeing. There are several intermittent fasting regimens right now. The most popular method is the 16/8 – fasting for 16 hours a day and eating for the remaining 8 hours. Another approach is the 5:2, when you are allowed to eat normally five days a week, and dramatically cut calories on two fasting days, or what is essentially a 36-hour food break. And there’s also alternate day fasting (ADF) that alternates 24-hour periods of fasting (or restricted calorie consumption) with normal eating days. What’s evident in these approaches is the flexibility. Compared to other diets, intermittent fasting lets you have a ‘diet break’ in certain days of the week. This would be a big difference to, say, counting calories and total restriction, where you are basically dieting the 24/7. It’s a more sustainable form of dieting, for those who want flexibility when trying to lose weight. The primary reason why many try intermittent fasting is for weight loss, and majority who have tried it (and was able to stick to the schedule) have experienced results. Of course, if you compensate by eating much more during your regular meals, it would just be pointless. The key is to stay on schedule – eat when you can, and fast when you have to. With intermittent fasting, improved hormonal functions can also facilitate weight loss. For instance, lower insulin levels, higher growth hormones and increase in norepinephrine allow your body to metabolize fat more efficiently, facilitating its use for energy. This helps you burn more calories, which is why intermittent fasting is associated with about 3-8% weight loss for a short period of 3-24 weeks. Now, with diets, losing weight is only part of the whole picture. Keeping the weight off is the challenge. Intermittent fasting has been shown to be a more sustainable weight loss approach. In a two-part study, this regimen was able to succesfully reduce body mass index (BMI) and fatty acids and cholesterol in obese men and women, and minimized weight regain after a year. In the US, more than half a million people die from heart disease each year – 1 in every 4 deaths. Everyone is aware that food intake is a big factor in determining heart health, and intermittent fasting can help lower the risk for heart conditions. In one study for instance, those who followed an alternate-day fasting approach not only lost weight successfully, but experienced lower blood pressure, total cholesterol levels, LDL cholesterol and blood triglycerides concentration. There is substantial evidence that intermittent fasting can reduce inflammation and blood pressure, benefiting the cardiovascular system. Voluntary fasting initiates a process called autophagy, wherein the cells in the body undergo waste removal, metabolizing proteins that build up in cells over time. This process can be a natural defense against several diseases, including cancer. Small studies have looked at intermittent fasting regimens, and found physical changes that could lead to reduced risk, for breast cancer in particular. More research is needed, but promising results from animal studies indicate that intermittent fasting can potentially help prevent cancer. Like heart disease, diabetes is a serious health issue that affects millions of people. In fact, around 84 million in the US have pre-diabetes, which can lead to Type 2 diabetes if not addressed. Certain forms of intermittent fasting have shown to improve body’s response to sugar. For instance, an experiment that involved 25 days of unrestricted eating followed by 5 days of restricted fasting regimen caused improvements for participants that have high blood sugar. Additionally, studies on animals found that a diet mimicking fasting cycles restored insulin secretion and promoted generation of new-insulin cells in the pancreas. This is especially crucial for pre-diabetics who are insulin-resistant, which means that their blood sugar levels remain elevated even when cutting calories. Intermittent fasting may train the body to produce insulin less often and curb the risk for Type 2 diabetes. While further research has to definitively show these results on humans, there is great potential that fasting can effectively fight diabetes. One of the most talked about benefits of intermittent fasting is its ability to extend lifespan. Given its known benefits for metabolism and cellular processes, it makes sense that fasting could help delay aging and onset of diseases. A study revealed that fasting triggers adaptive cellular stress responses, which helps the body cope with stress and counteract disease. Experts mention that a low-calorie diet like what intermittent fasting provides, can increase mitochondrial (cell powerhouse) functioning. And the better this works, the better your overall bodily processes works as well. Circadian rhythm is the natural sleep/wake cycle unique to each individual, which helps to regulate both sleepiness and wakefulness. Disturbance to the circadian rhythm – e.g. eating before bedtime, caffeine, stress – can be linked to fatigue, weight gain and other health issues. As insulin sensitivity and digestion slows down at nighttime, it’s better for the body to have little to no food intake during this time. 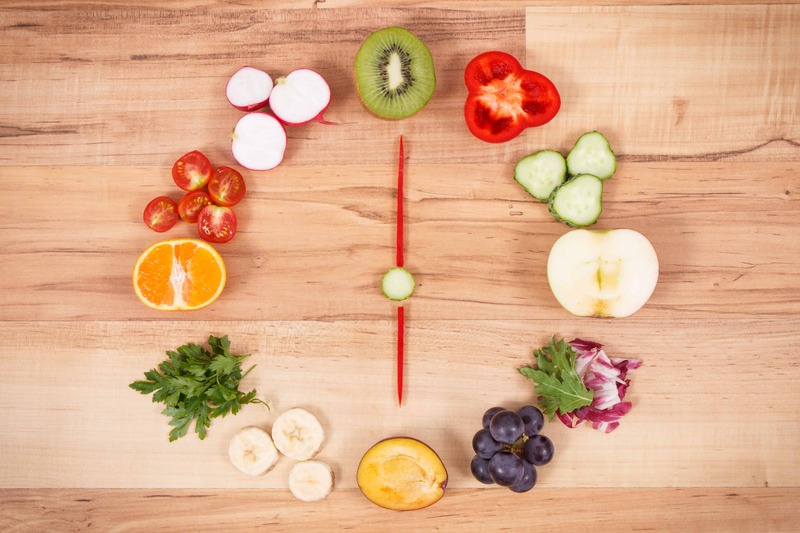 Research shows that intermittent fasting can help you stick to the body’s circadian rhythm, which is ultimately beneficial for metabolism and cellular regeneration.